Who is Prince Charming’s fiancee? What fairy tale is she from? We analyze episode 3 of Season 1 of ‘Once Upon A Time’: ‘Snow Falls’. Who is Sheriff Graham in the Fairy tale world? What happened between the Evil Queen and Snow White? What is the meaning of the names of the characters in Storybrooke? We analyze Once Upon A Time episode 3, ‘Snow Falls’ and speculate about the hints and mysteries in the story. We love to hear your thoughts about this episode and about our whacky theories! Share your own theories in the comments! Write a review or give us a rating on iTunes! 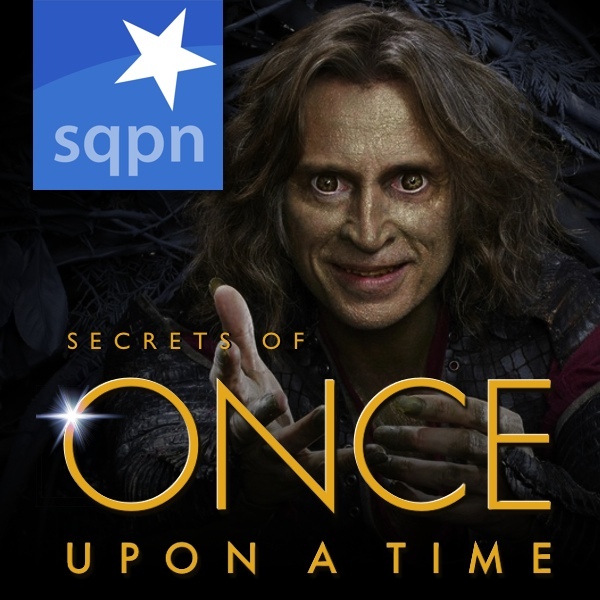 Check out our other SQPN.com podcasts! Dr. Whale is the “BIG BAD WOLF” as he salivated over Ruby during his date with SW. ….. Doc they showed during the birth of Emma in the pilot, not the same guy! Sherrif Graham is the Evil Queen’s “Huntsman” although the sherrif’s first name has not been revealed, I’m sure his first name is on the business card he handed to Emma as he offers her the Dep.’s job. Also found relation btwn Whales&Wolves. Snow White ruined the EQ’s life by being born more fairer than she, thus she must DIE! I’m waiting eagerly for the next episode (of your podcast, and the show!) When will it air? I think you’re on to something with the Princess and the Pea. I’m guessing we’ll see more of her later on. Listened to all 3 podcast within 2 days. Love it. I love how this time there is more episode analysis. I love the theory about why the Evil Queen hates Snow white so much and I love the crazy theory that after X number of seasons the finale will be a dream. I’d want to pull out my hair if the writers go in that directions so I’m hoping that doesn’t happen. UM… regarding the theory on The Evil Queen despising her father, I’ve gotta shoot down. It wouldn’t work, because then she hates her Dad and therefore his heart wouldn’t have brought on the curse. He can’t possible be The Thing That She Loves Most! So the heart of the horse should have worked. I really liked this episode for the fantastic development between Snow and James. I am intrigued to know the back story behind Regina hiring Kathryn Nolan – How’d that work and what was it about the windmill (ep 6) that seemed to bring back the false memories somehow planted in Charmings mind. The makeup and prosthetics of the trolls I thought was excellent. ‘Snow Falls’ is not my favourite episode of the 6 I’ve watched, but I enjoyed it better than the first two. This time my focus was in it all the way through.